Tom Getchell is a director of the firm. His practice areas include civil litigation, employment law, workers' compensation, estate planning, probate administration and litigation, and tax controversies. 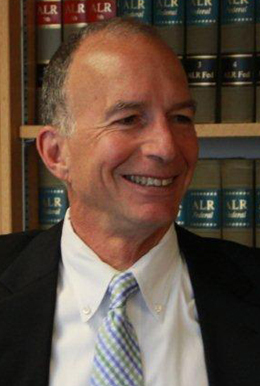 An experienced trial lawyer, Tom has tried a great number of cases to juries in the state and federal courts. He served on the firm's Executive Committee. A Maine native, Tom was born in Skowhegan, graduated from Westbrook High School, and received a degree in mathematics from Bowdoin College. Before embarking on his legal career, Tom taught math and coached football and track at Western Reserve Academy, a college preparatory school in Hudson, Ohio. Tom is admitted to practice in all state courts in Maine and Massachusetts, as well as the U. S. District Court in Maine, the U.S. Court of Appeals for the First Circuit in Boston, and the U.S. Tax Court. He is a member of the Maine Bar Association. In his spare time Tom enjoys running, reading, mountain climbing, and golfing. He has been involved in coaching youth sports and in various civic and community groups. He and his wife reside in Scarborough, where they enjoy visits from their two adult children.